Food Bank launches $1.33 million campaign to increase capacity for food distribution. 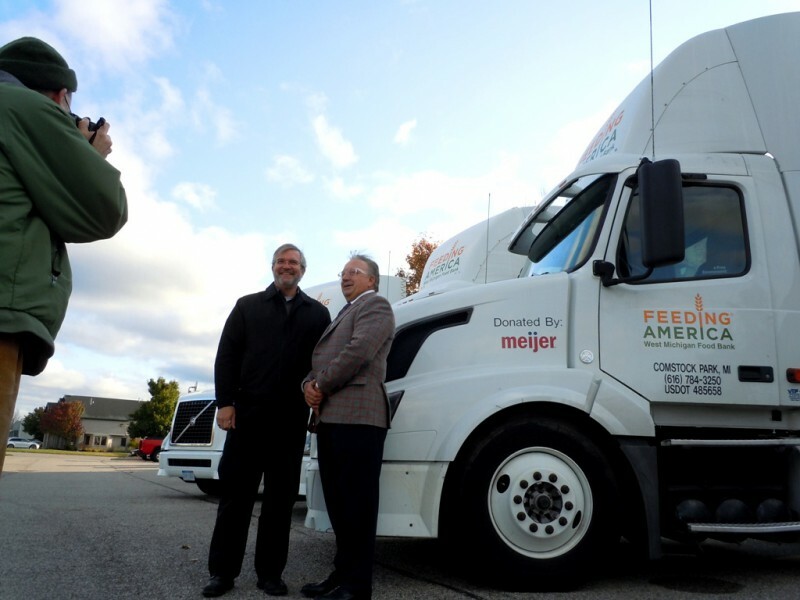 In 2013, Feeding America West Michigan Food Bank was forced to retire four trucks from its 22-vehicle fleet. In a year that has seen its food distribution spike by 10 percent, that lack of transportation is limiting the organization’s ability to continue meeting the need. To change that, Feeding America West Michigan announced a three-year, $1.33 million vehicle replacement strategy. With the official start date of the campaign still a few weeks away, the organization has already received three Volvo tractors and more than $212,000 in cash commitments. 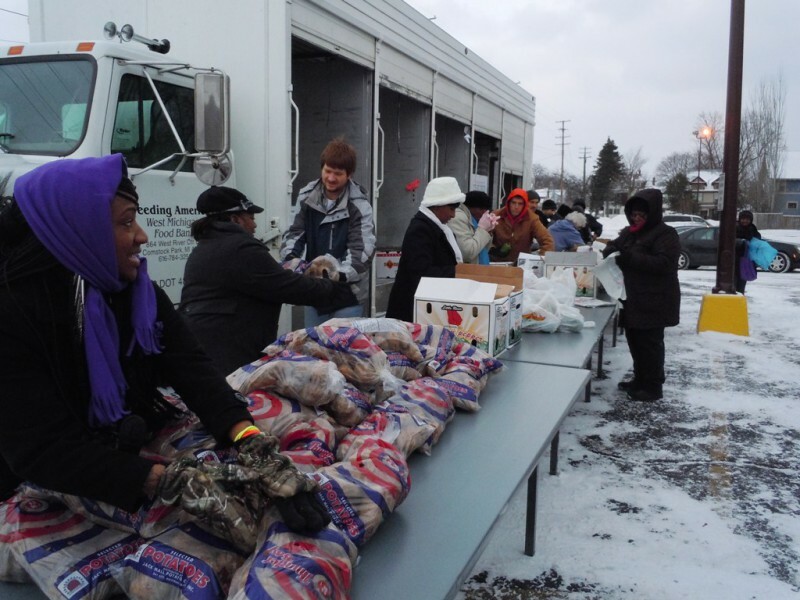 Despite the constraints imposed by a lack of vehicles, Feeding America West Michigan is on track to distribute more than 25 million pounds of food in 2013, breaking its all-time record for most food distributed in a single year. A combination of Michigan's persistently high unemployment rate, the prevalence of part-time jobs and reductions in federal food assistance all contribute to food insecurity in West Michigan. Though official data on hunger has yet to be released for 2013, the organization has seen a marked increase in demand from the previous year. Last Monday, more than 120 families lined up at Pilgrim Rest Missionary Baptist Church in Grand Rapids to receive food from one of Feeding America West Michigan’s Mobile Food Pantries. Often described as a “farmers’ market on wheels,” each Mobile Pantry brings fresh fruits, vegetables, baked goods and dairy products to high-need communities. Some Pilgrim Rest clients waited more than two hours to receive food. Guy was particularly struck by one girl who arrived by bus, school books in hand. “I could look at her and tell … she didn’t want to be there, but she knew she had a need,” Guy said. Swick said he met a number of clients that day who were living “off the grid,” impoverished and cut off from almost all resources. For them, the Mobile Pantry represented one of their few chances to get fresh produce — rarely stocked at the convenience stores where many shop out of necessity. Whether in metro Grand Rapids or in the Upper Peninsula, the need for food is growing. With an encouraging response this early in the campaign, Food Bank staff members are hopeful that the local business and foundation community will see it through to the end.